Moderndancedress cooperates with major international shipping companies like FedEx , DHL, Aramex, UPS, EMS and China Post Air Mail, epacket etc. The prices of our products vary according to the type, location, shipping method,You can view the shipping fees at shopping cart or checkout page. 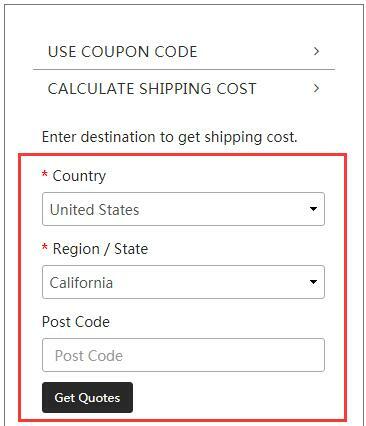 Please Add ltems to "Shopping Cart"
Click the "Get Shipping Cost"